See also Bell & Howell and Bell International. Bell Laboratories is an American company founded in 1925 by Western Electric Research Laboratories and the American Telephone & Telegraph company. It has made a vast range of electrical, electronic, telecommunications or scientific devices, and notably invented the transistor in 1947. Bell Labs was involved in the development of sound systems for the movie industry in the 1920s. 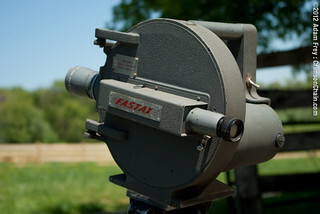 In the 1930s and 1940s, it developed the Fastax, a high-speed camera taking 5,000 frames per second, whose design was later sold to Wollensak. This page was last edited on 27 February 2015, at 06:13.